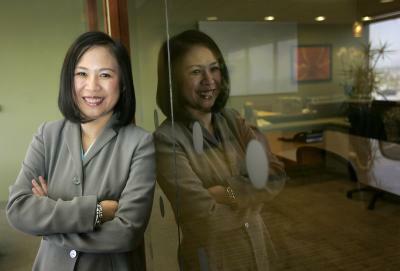 Karen Chiu’s success in mortgage origination was borne from necessity. She began originating mortgage loans in 2005 because her daughter needed medical care and her partner’s insurance didn’t provide enough coverage. Mortgage origination provided her with benefits, and it also allowed her to have a flexible schedule so that she could care for her children. Not only that, but she was actually good at it. From March to December that first year, she says that she made more money on commission than she had earned in her earlier role as VP of Finance. In 2018, she closed $55 million, and her Q1 performance has already improved from last year. She thinks that New American Funding’s product availability has helped her improve her numbers, and she attributes the boost in particular to non-QM products, which she only starting doing in the middle of last year. She anticipates it will be a bigger percentage of her volume in 2019. She also thinks that some of the processes that her team has in place streamlines the process, including software that deals with conditions that everyone can see and access. “We’ve been paperless since 2010, and I think being paperless makes it a lot more error free because my processor, my assistant, we all see the same thing on a shared drive. So I think the paperless condition gathering makes a world of different in terms of sharing information, and we provide better customer service because we look at the same thing when we talk to customers,” Chiu said. One of her strengths is being an expert when it comes to negotiating with HOAs, who can make a condo complex lendable by changing some of their operations. She also regularly partnerships with builders, which does require patience because they typically don’t have inventory that’s ready. But, she said, that allows her to plan for a client with a credit or income issue and be a mortgage adviser over a longer period of time. In some ways, she also considers her niche to be her familiarity with a number of products. “Whether it’s down payment assistant programs or a non-QM bank statement product, you just have to be fluent in all products so that whoever you meet, you’re able to put them in a certain product that will be suitable for them,” she said. What every borrower doesn’t know from the start is that the information that they get online isn’t necessarily particular to their individual situation, and Chiu says that misconception is common among new borrowers. For years, her team has provided their clients with extra tools to help the borrower understand the customization of the process to their own situation instead of what’s advertised online. Educating borrowers is an extra step, Chiu said, but it’s necessary to retain clients and gain their trust. Because that trust is crucial, Chiu always does her homework before promising or quoting anything, to borrowers and partners alike. “I always feel like if I’m wrong once, if I say I can do a loan and I end up not doing a loan, I feel like my realtor and my builder will lose faith in me. They have a lot of faith in me being the savior for them, so I don’t think I’ve ever said to anyone that I can do a loan without being able to do it,” Chiu said. Originators can fall into the trap of relying on the same prospecting methods to meet new clients and partners, but expanding their own personal networks can be just as effective, if not more. Her biggest builder partner, for example, is another parent at her son’s school. Chiu said that a lot of originators hesitate to blend the personal and professional spheres, but when they put themselves out there to friend and acquaintances, not as someone who’s there to sell something, but as someone who’s real, liked, and already present in their lives, they’ll see business from it. Nowadays, Chiu doesn’t have to worry about insurance or money; those are no longer her motivations. She picks up a lot of loans that other lenders decline, and whenever she can work with a borrower who was told they weren’t ready and turn them into a homeowner, it’s very fulfilling.